The four Grand Lodges in Sweden, Denmark, Norway and Iceland are all working “The Swedish Rite” which was developed in Stockholm during the second half of the 18th century and finished in the year 1800 under the leadership of Duke Carl, later King Carl XIII. The four Orders, Swedish Order of Freemasons (SFMO), Danish Order of Freemasons (DDFO), The Norwegian Order of Freemasons (DNFO) and The Icelandic Order of Freemasons (IFMO), are all sovereign Masonic bodies working the same rituals. In Finland there is a Grand Chapter which as a part of the Swedish Order of Freemasons is working The Swedish Rite. 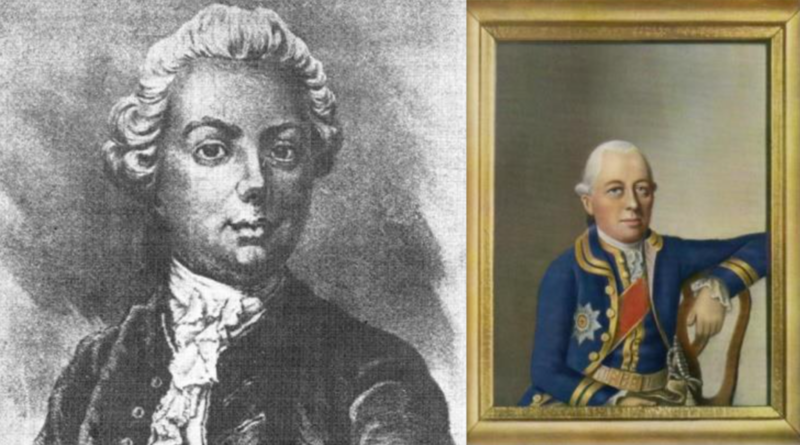 The Swedish Rite has its origin in the work led by first Carl Friedrich Eckleff and subsequ­ently Duke Carl of Söder­m­anland (the later King Carl XIII of Sweden) during the second half of the 18th century and finished in 1800. The rituals and the funda­mental laws of Carl XIII governing the system still constitute – with few modifications – the foundation for the work in The Swedish Rite. It is a progressive, continuous and homogenous system through its eleven degrees. Each degree leads to the next and each degree sums up the contents of the preceding degrees. To ensure that each degree is kept separate and distinct, different lodge rooms are used, each specially designed for its degree. The way of working is also unique, based on the lodge room, the ritual and the individual examination in each degree. There is one ritual for advancement in each degree Worshipful and the Master follows a manuscript when working a Lodge but some parts of the ritual must be memorised and performed by heart. The system is grouped into three divisions with ten degrees altogether, which every brother can reach eventually. Progression through the degrees is slow, especially in the higher degrees, although variation with some between the four countries. A brother will typically reach the X degree after some 12-20 years’ time after his entry as an apprentice in the St John’s Lodge. The last (XI) degree called Knight Commander of the Red Cross is almost exclusively for officers in the Grand Lodge. This division is closely related to the rituals in Craft lodges and the normal time for a brother is to be a raised Master in two to three years. This division is somewhat related to Mark Master Masons and Royal Arch, respectively, but has its own rituals and lodge rooms. A brother can reach the sixth degree in about four to six years. This division is related to rituals in Great Priories and Supreme Councils but has its own rituals and lodge rooms. The Chapter also includes the final (XI) degree: Most Enlig­htened Brother, Knight & Commander of the Red Cross. This degree is almost exclusively for officers in the Grand Lodge and Provincial Grand Masters. The Swedish Rite is explicitly based on Christianity. The Swedish Rite the brother is supposed to be searching for his personal development and to practice friendship and charity. He is supposed to accept the Christian faith. During his travel through the degrees he is supposed to grow in his own under­st­anding of the basic principles of Religion and Christianity that should bring value to his life and develop his relation to his fellow brother. In this way he is also to grow in his under­st­anding of- and his belief in God. He is guided closer to the answer questions: Where do I come from, what is my task in life and where am I heading? During the whole progress from the first degree to the tenth, the brother is member of the same Order. 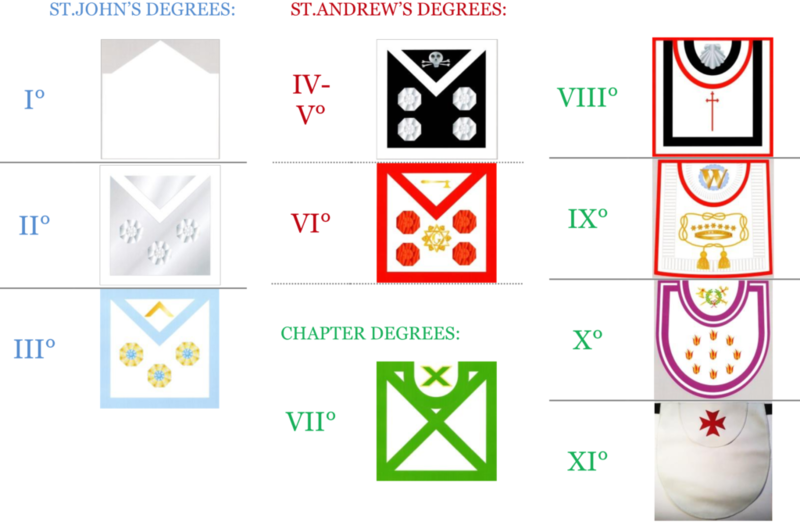 Each division of degrees: the St John’s Lodge, the St Andrew’s Lodge and the Chapter, enjoys a certain amount of autonomy, but they are under the rule of the Sovereign Grand Master / Commander. The Icelandic Order of Freemasons was formally consecrated and established July 23, 1951, in a solemn opening ceremony in Reykjavík, the national capital of Iceland. 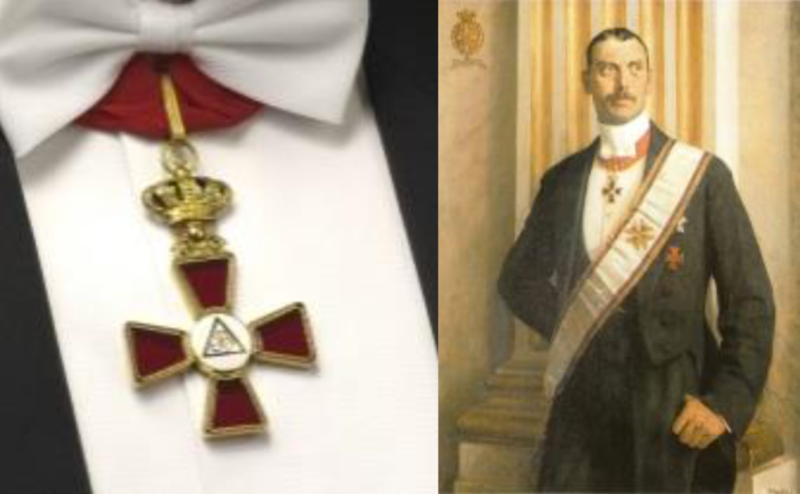 Icelandic brethren had previ­ously participated in The Danish Order of Freemasons, as Iceland was a part of a common kingdom with Denmark, and high representatives of The Danish Order of Freemasons participated in the opening ceremony. of The Icelandic Order of Freemasons. The first Icelander known to have become a freema­sonic brother did so in Copen­hagen, Denmark, in 1796, and the second one in 1817, also in Copen­hagen. Since then there is an unbroken chain of Icelandic brethren in the brotherhood. The first freema­sonic lodge meeting in Iceland was held by a group of Norwegian brethren on Sct. John ́s day June 24, 1900, in a whaling station in Northwestern Iceland. 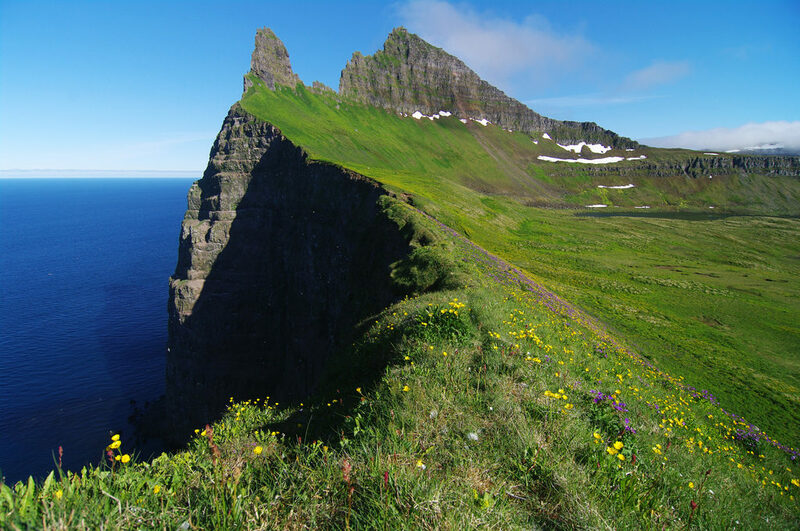 Again, these Norwegian brethren held another formal lodge meeting June 24, 1902, on Cape Hornbjarg, the northernmost promontory of Iceland, under the canopy of heaven during the bright Icelandic summer night. A German brother who participated has described that meeting held exactly on the Arctic Circle as unfor­gettable. 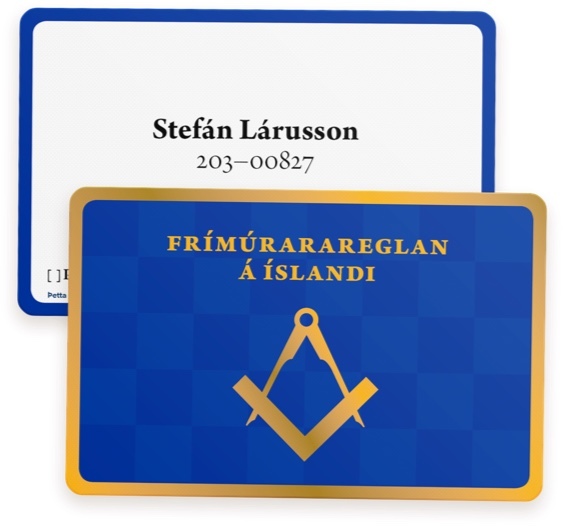 A Fraternity Association of Icelandic brethren was established and formally opened November 15, 1913, in Reykjavík as a part of The Danish Order of Freemasons. Most of the Icelandic brethren at that time were brethren in the Lodge “Z and F”- Zorobabel and Frederik to the Crowned Hope – in Copen­hagen. In the fraternal group there were also Icelandic brethren in lodges in North-America and Scotland. 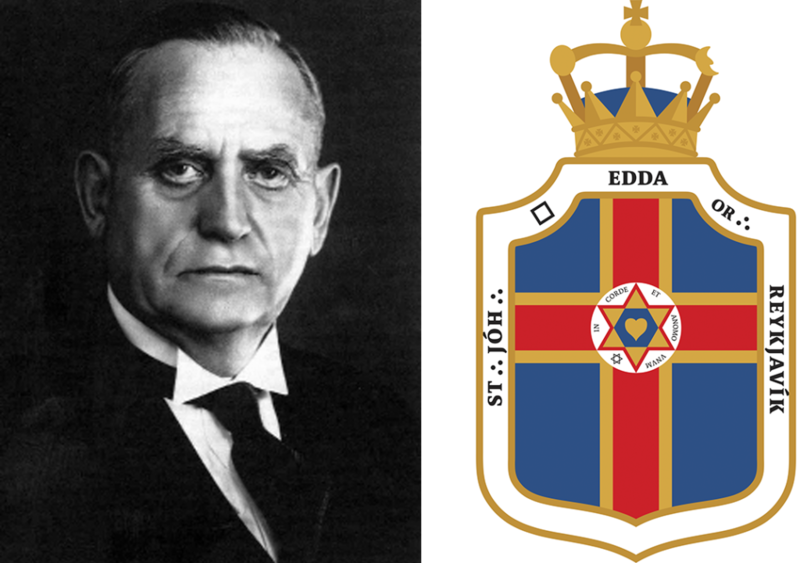 January 6, 1918, Epiphany day, the Fraternity Association became a Lodge of Instruction, these formal steps being parts of the preparation and development towards an established Sct. John ́s Lodge within the Swedish Rite of Freema­sonry which is operated in Denmark and Iceland as well as in Sweden, Norway, partly in Finland, and with close ties to Northern Germany. The Swedish Rite of Freema­sonry was formalized and initiated at the end of the eighteenth century under the supervision of Grand Duke Carl, later King Carl XIII of Sweden. According to the Swedish Rite the Order of Freemasons in each country constitutes one over-all organ­ization through all the degrees, from Sct. John ́s to Sct. Andrew ́s to Consistory or Grand Lodge degrees, with one Grand Master and Supreme Commander, in one person, for each national Order. Brethren in the Swedish Rite must confess the Christian faith, with no prerequisite concerning religious denom­ination or affiliation. January 6, 1919, also on Epiphany day, the first fully consecrated Sct. John ́s Lodge of Freemasons was formally opened in Reykjavík. The lodge has the name „Edda“ which is taken from the Icelandic mediaeval collection of Nordic mythological and heroic poetry. There were fourteen founding brethren. Since then freema­sonic work has continued in Iceland with a growing number of lodges and brethren. The most important achievement is, of course, the formal opening of The Icelandic Order of Freemasons as a fully sovereign body, July 23, 1951, as mentioned above. Because of the second World War the brethren in Iceland had to assume all supervision and governing of freema­sonic work in the country from 1940, as all communication with Denmark was closed during the war. As mentioned above, the first President of The Republic of Iceland was the first Grand Master and Supreme Commander, as was also later the second President of Iceland. In 2016 there are 18 Sct. John ́s Lodges in Iceland, among them a research lodge and a daylight lodge, as also lodges in all main parts of the country outside of the capital Reykjavík. There are six Sct. Andrew ́s Lodges, three Lodges of Instruction, and one Consistory Grand Lodge. In 2016 there are 3,546 brethren in Iceland, out of a nation of approx­imately 335,000. 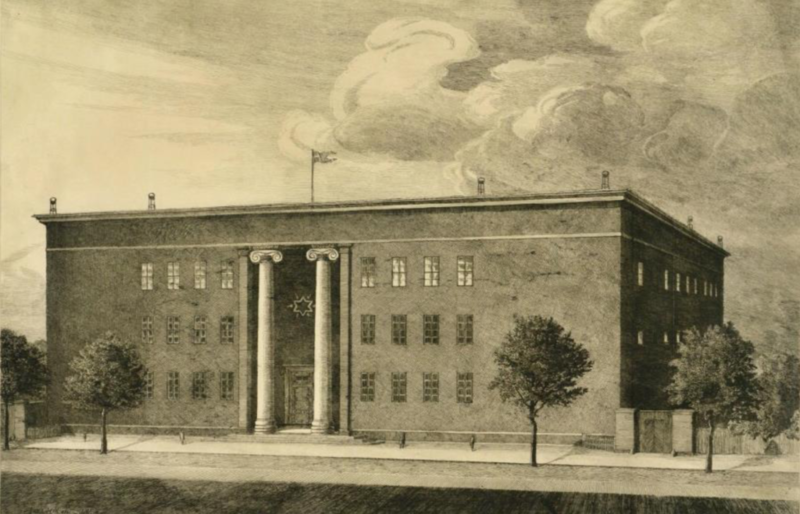 Freema­sonry arrived in Denmark when five Master Masons met in Copen­hagen on November 11, 1743, and founded a lodge which would later be named St Martin. The following year, brethren from St Martin left it to found another lodge, which obtained a constitution from the Grand Lodge in London in 1745 and exists to this day under the name Z&F as the oldest masonic lodge in operation in the Nordic countries. In the early years, the lodges worked a German variant of the rites used in England. In 1765, Danish freema­sonry joined the Christian high-degree rite called Strict Observance under German leadership. The Strict Observance rite underwent a major revision in 1782 and became known as the Rectified Rite. A similar development had occurred in the Strict Observance lodges in France in 1778, and the Rite Écossais Rectifié (Rectified Scottish Rite, RER) survived in Switzerland from where it has spread to other countries in recent decades. 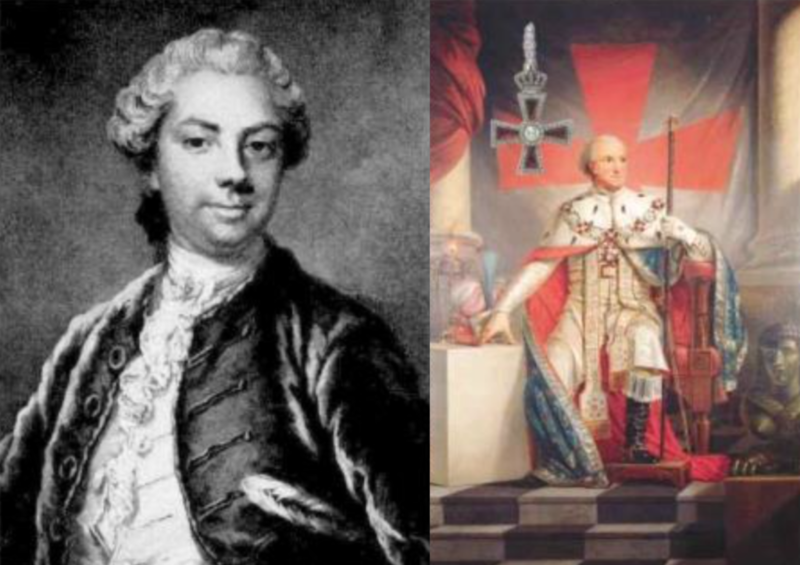 In 1775, Prince Carl of Hessen was initiated as a freemason, and he was the superior of Danish freema­sonry in Denmark from his initiation until his death in 1836. From 1765 to 1792, however, Danish freema­sonry was technically subord­inate to the leadership in Germany. 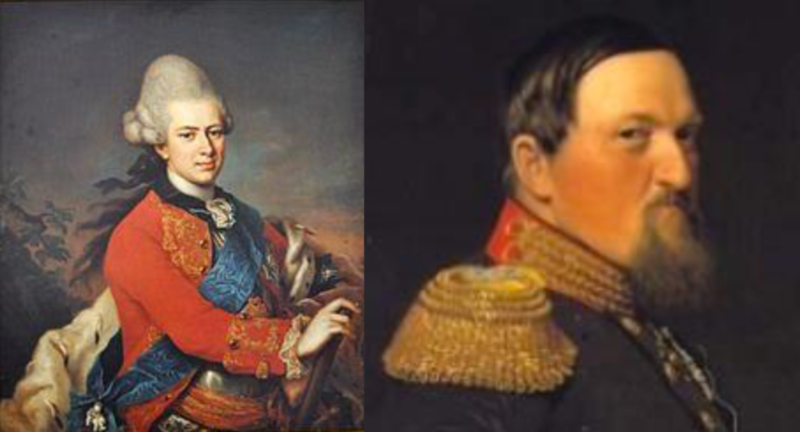 Prince Carl was succeeded as Danish Grand Master by Prince Christian Frederik who three years later succeeded to the Danish throne as King Christian VIII in 1839. 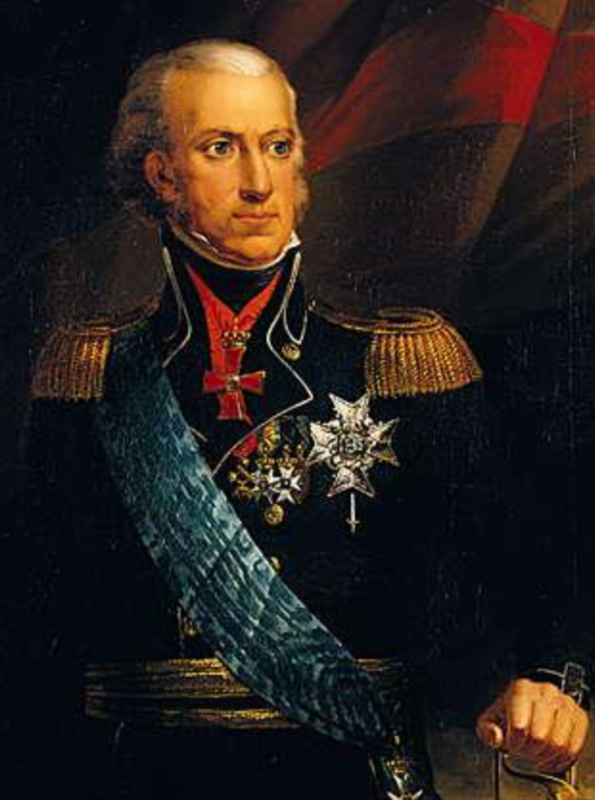 He was Grand Master until his death in 1848 and was succeeded by his son, King Frederik VII. In 1852, King Frederik VII sanctioned that the new lodge Kosmos in Helsingør could start working according to the Swedish Rite. That happened in 1853, and in the same year King Frederik VII constituted a temporary Danish Grand Lodge with the task of preparing the transition to working the Swedish Rite in all Danish lodges. On January 6, 1855, the formal shift took place at a special meeting of the Grand Lodge in Copen­hagen – this is the origin of the New Year’s Festival of the Danish Order of Freemasons as it is celebrated today. Also in 1855 the first Danish St Andrew’s Lodge called Cubus Frederici Septimi (CFS) was founded in Helsingør, only to move to Copen­hagen two years later. On November 16, 1858, the proper Grand Lodge of Denmark was constituted according to the funda­mental laws of the Swedish Rite, and hence, work in the Swedish Rite chapter degrees could begin. The transition was completed on March 22, 1862, when King Frederik VII appointed the first Knights and Commanders of the Red Cross in Denmark, the XI and highest degree of the Swedish Rite. In 1855 there were only three St John’s Lodges in operation, but the following century saw a significant growth of freema­sonry in Denmark with new lodges appearing across the country, while the one St John’s Lodge in Copen­hagen grew and split several times. The prosperity was stimulated by the great interest of the royal Grand Masters, King Frederik VIII and his sons, King Christian X and Prince Harald, who one after the other led the Danish Order of Freemasons from 1872 until 1949. Today, the Danish Order of Freemasons is divided into three Districts, of which one is led by the Grand Lodge of Denmark in Copen­hagen, while the other two are led by the Provincial Grand Lodges of Odense (founded 1881) and Aarhus (founded 1959), respectively. There are 48 St John’s Lodges and 11 St Andrew’s Lodges in full operation and another 23 Instructive Lodges of St John and St Andrew which are fully equipped for ritual meetings, but not for initiation and promotion. In addition to the Grand Chapter in Copen­hagen and the two Chapters of the Provincial Grand Lodges there are two minor Chapters promoting brethren to the VII degree and three Instructive Chapters. Additi­onally, a Lodge of Research was founded in 1997. During the 20th century, a number of irregular lodges were founded. In 1959, the Danish Order of Freemasons entered a treaty with the St John’s Lodge Association which now consists of three Lodges working the three craft degrees according to Schröder’s Rite. In 1961, the Danish Order of Freemasons entered another treaty with the Guild of Ancient, Free and Accepted Masons of Denmark who work the three craft degrees according to the rites approved by the United Grand Lodge of England. Today, the Guild of Ancient, Free and Accepted Masons of Denmark consists of 40 Lodges as well as a Lodge of Research. St John’s Lodge Association and the Guild of Ancient, Free and Accepted Masons of Denmark do not require that their members confess Christianity. However, if a Master Mason of these Lodges is Christian, he can join a St Andrew’s Lodge and, subsequ­ently, a Chapter of the Danish Order of Freemasons. The treaties imply that Lodges belonging to the Association or the Guild recognize the Grand Master of the Danish Order of Freemasons as their superior and, hence, are part of the amity between the Danish Order of Freemasons and United Grand Lodge of England and, more generally, the world- wide amity of the Grand Lodges of regular freema­sonry. In total, the Danish Order of Freemasons today has approx­imately 9,000 members. In the early 18th Century Freema­sonry spread from Britain to the Continent, where it took many forms. Many Swedes were initiated in France and Germany, and received permission to introduce these workings at home. Freema­sonry was brought to Sweden by Count Axel Wrede- Sparre, a Cavalry officer who during military service in Paris had been initiated in 1731. After returning to Sweden with authority to operate the three degrees he brought together some friends who like him had been initiated abroad. In 1735 he initiated in a private lodge in Stockholm his brother-in-law Count Carl Gustaf Tessin. Most of the brethren joining the Wrede- Sparre Lodge belonged to the higher Swedish nobility. The meetings appear to have ceased towards the end of the decade. At the beginning of the 1750’s there were quite a large number of Freemasons in Sweden who had been initiated by Wrede-Sparre or abroad. But confusion reigned in Swedish Masonry. To bring some order out of chaos Count Carl Fredrik Scheffer lent his authority to the establis­hment in 1752 of the first regular St. Jean Auxiliaire (St. John the Baptist’s) Lodge in Stockholm by Count Knut Posse. Wrede-Sparre and most of the brethren in his lodge adhered to the new lodge, and the rituals and other documents of his lodge were given to the new lodge. Count Scheffer who had been initiated in the Craft in 1737 in Paris, was elected National Grand Master in 1753. He had received an open letter or patent in Paris in 1737 from Charles Radclyffe, Earl of Derwentwater to issue warrants for new lodges in Sweden. The St. Jean Auxiliaire Lodge was referred to as the ‘Mother Lodge of Sweden’ and consi­dered itself entitled as the only legal Masonic body in Sweden to issue warrants to new lodges. Masonic activity increased consi­derably; cland­estine Lodges were regularised or closed down, their members joining regular Lodges. During the 1750’s new Lodges were established and several of these opened their doors to members of other social classes. In the 1730’s it was claimed that Freema­sonry was descended from the Christian Chivalries of the past, from the rebuilding of churches in Jerusalem after their destruction and from such orders as that of St. John of Jerusalem. This started many thoughts and new curious degrees, also in Sweden. In 1754 the Clermont rite was founded, and it is these rituals, which formed the basis of the St. Andrew’s degrees whose initiates bear the title of Scottish Brother or Scottish Master or Maître Ecossais. In 1756 the Royal Secretary Carl Friedrich Eckleff, who held a foreign patent authorizing him to form new lodges, together with six brethren formed the Scottish Lodge l’Innocente in Stockholm working in the Scottish St. Andrew degrees. This was the beginning of the Swedish system. The next step in the development of Swedish Freema­sonry was taken by Eckleff in 1759, when he established a Grand Chapter l’Innocence in Stockholm. It has not been possible to ascertain the origin of the patent and of the rituals. 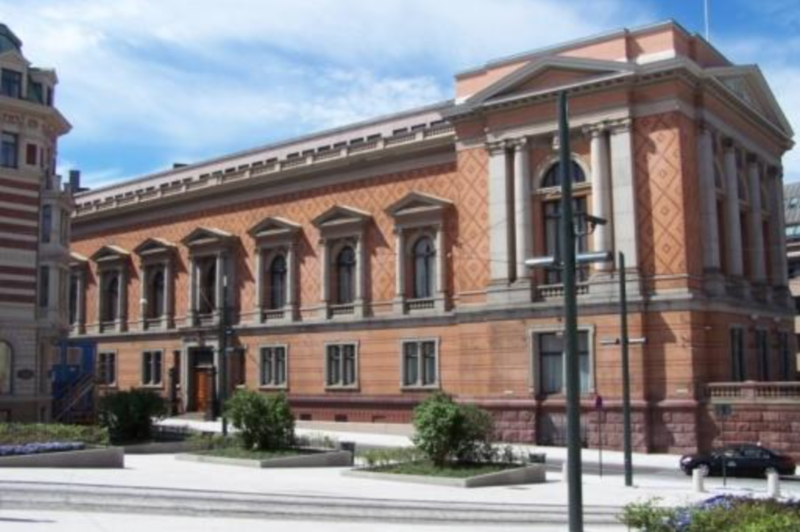 The Grand Lodge of Sweden (Svenska Stora Lands­logen) was established in 1760 and was recognized as a National Grand Lodge in 1770 and 1799 by the Grand Lodge of England. Baron Eckleff established a Masonic system on a Christian basis. The moral philosophy of the Swedish rite was further developed by Duke Carl of Söder­m­anland (later King Carl XIII of Sweden) who succeeded Eckleff in 1774 as Grand Master of the Swedish Freema­sonry. Duke Carl began studying the whole system and the sources of the rituals. He got in touch with those who worked the system in Germany, especially with Baron Carl G. von Hund, who had devoted himself to perfecting the Templar Orders of Clermont. As a result the Convention of Wilhemsbad was called to rectify the Scottish Master’s degrees. This was attended by Swedish Masons, and though contact with Germany was later broken, Duke Carl remained in touch, and eventually gave Sweden a real system of Masonry, not just a collection of degrees. It was during this period that the Chapter working was extended, though Eckleff’s documents still remained the basis of the rituals. 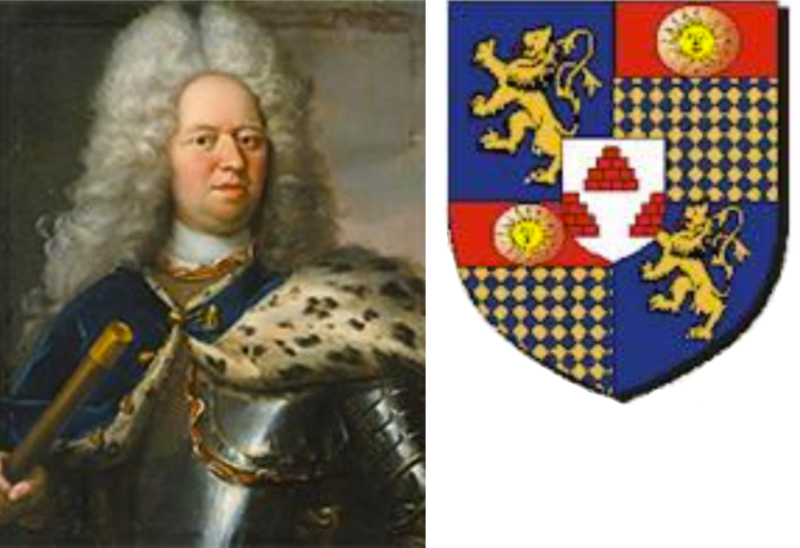 In 1780 Duke Carl created the IXth Masonic Province (IX Frimurare Provinsen), of which the National Grand Lodge of Sweden was the main body, renamed in 1937 the Swedish Order of Freemasons (Svenska Frimurare Orden). By a series of ritual revisions, began in the late 1770’s he by 1800 had created a logical Masonic system with ten degrees, each degree leading unerr­ingly to the next, even up to the final and highest, because each contains the germ of the succeeding degree. Freema­sonry in Sweden has continued to develop under the leadership of their Grand Masters, all of them belonging to the Royal House from 1774 until 1997. Introduction to Freema­sonry in Norway and how it became Swedish Rite; A brief background to the development of Freema­sonry in Norway. Masonry in Norway is closely linked to the development of masonry in Denmark, England and Sweden. The first era of freema­sonry in Norway and the introduction of masonic work is identical to what happened in Denmark. Norway and Denmark was a union of countries and the admin­istration of the two entities was placed in Copen­hagen. Only a few men were initiated into freema­sonry. Those few were either soldiers or tradesmen. The soldiers had connections to Germany and the tradesmen to England. This handful of men was either initiated in English ruled lodges in Hamburg or in London. Organised freema­sonry came to Copen­hagen in 1743 with the consecration of St. Martin and in Christiania (now Oslo) in 1749 with the consecration of St Olai Lodge. Both lodges was consecrated using the patent Christian Conrad Danneskiold-Laurvig had obtained in London. During the first years, St Olai Lodge used an English ritual. The Lodge gained some popularity and initiated more than 25 brethren and by the year 1772 they had a membership of more than 25 Master Masons. The English connection was later underlined when a group of Norwegian patrons and tradesmen was initiated into the Royal Arch Chapter at Freemasons Tavern in London in 1784 and brought home a patent to start the Royal Arch Chapter Dovre. This is today probably the oldest preserved RA ritual in Europe. The Dovre Chapter was closed down in 1803 due to too few joining members. 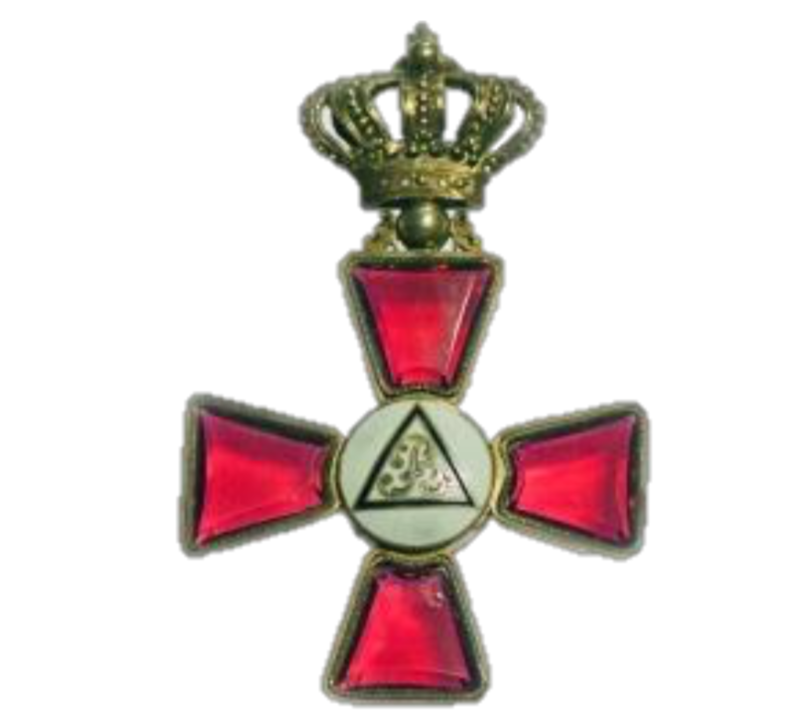 After a break in its work St Olai Lodge started up again and used Stricte Observans for some years until the Rectified Rite was introduced under the supervision of Prince Charles of Hessen that was governor in Norway on behalf of the Danish King. In 1814 Norway was trans­ferred from the union with Denmark, as a part of settlement after the Napoleonic war, into a joint rule under the Swedish King. At this time Niels Treschow was a university professor, a government minister and Worshipful Master of St Olai Lodge and shortly after (1818) the Swedish Rite was introduced with success in Norway and the rule of Norwegian masonry was as well trans­ferred from the Grand Master Prince Charles in Denmark to the Swedish King Charles XIV Johns rule. In 1891 the Grand Lodge of Norway was consecrated and had at the time 4 prospering lodges working in Oslo, Bergen, Trondheim and Drammen. The Swedish King Oscar II, supported Norwegian masonry extensively until Norway got its independence from Sweden in 1905 and the first all Norwegian Grand Master Johan Gottfried Conradi was installed in 1905. The lodges working the Swedish rite and the Lodges working the Polar Star rite joined forces in 1947 and has since shared the management and the rule of the same Grand Master. Today the Norwegian Order of Freemasons has 16000 members across 63 St Johns (Craft) Lodges, 19 St Andrews Lodges and 4 Chivalric Chapters all headed by the Sovereign Grand Master/ Commander. The Masonic bodies in each of the Nordic countries is a supreme entity with full sover­eignty over own masonic organ­isation. The structure of the Orders is somewhat similar, and the organ­izations can be seen below. High Council (“Supreme Council”) With a few local variations between the countries, the following highest (Grand) Officers are members of the “High Council” (a.k.a. Supreme Council) which is an Advisory Board to the Grand Master. Most of these Grand Officers also manage one of the “Depart­ments” a.k.a “Directories” which form the national masonic Organ­isation of the Grand Lodge. SMP Deputy Grand Master / "Pro Grand Master"